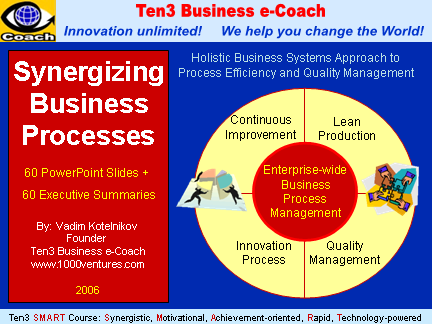 Business Process Management, Efficiency Improvement, Quality Management, and Innovation Process! out of about 200,000-wide (!!!) competition! Global bestseller! We are proud to have customers in 20+ countries: Australia, Belgium, Brazil, Bulgaria, Canada, China, Finland, Germany, India, Indonesia, Ireland, Lebanon, Malaysia, Netherlands, Russia, Singapore, South Africa, Sweden, Switzerland, UAE, United Status, and United States. 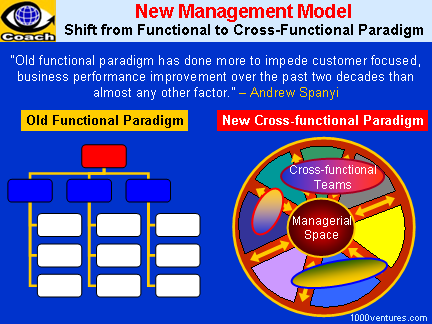 This way of thinking stands in the way of executives understanding and improving the flow of cross-functional activities which create enduring value for customers and shareholders. It promotes the type of thinking that impedes the effective deployment of enabling information technology. It promotes also 'silo behavior' and turf protection, and an undue pre-occupation with organization structure. This mindset contributes to the mistaken belief that if it was somehow possible to properly define the boxes on the organizational chart, and fill in the names of the "right" people in the key boxes - then the organization's performance will automatically improve. Yet, little is further from the truth. 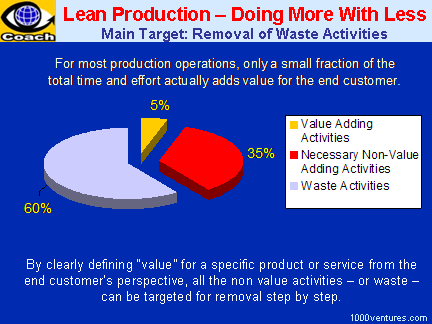 Further, it encourages a distorted view of performance measurement and executive rewards, shifting focus away from meaningful measures such as the timeliness and quality of services provided to customers, and towards less significant measures around functional departmental performance. It reinforces a task focus and traditional command and control behavior, where questions such as 'What is the scope of my responsibility?' and 'Who are the key subordinates who can help me look good?' are foremost and top of mind. Moreover, traditional functional thinking has also led to outdated management practices in the areas of goal setting and problem solving and it stifles innovation. So what to do? How can you transform the traditional functional mindset such that your organization is designed to make it easy for customers to do business with the company and easier for employees to better serve the company's customers? An effective way of transforming the traditional functional mindset is to embrace enterprise business process thinking and install enterprise business process management (EBPM) practices. What does this involve? Frankly, it requires a lot of very hard work, and concepts which will make some of your executives very, very uncomfortable. Why do it? Simply because the benefits of making this mental model transition are significant.